Nothing will give your project sparkle and shine like Stickles. Stardust is one of the most popular shades. 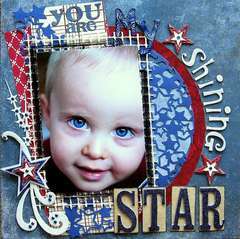 Create the impression of snow or add a focal point to a stamped image or embellishment. It won't change the color of your paper, it simply enhances it and reflects the color. Stickles come out of the 0.5 oz bottle smoothly and won't clump, thanks to the easy-flow tip. Every dot will contain the same shimmering glitter - it won't settle in the bottom of your bottle. 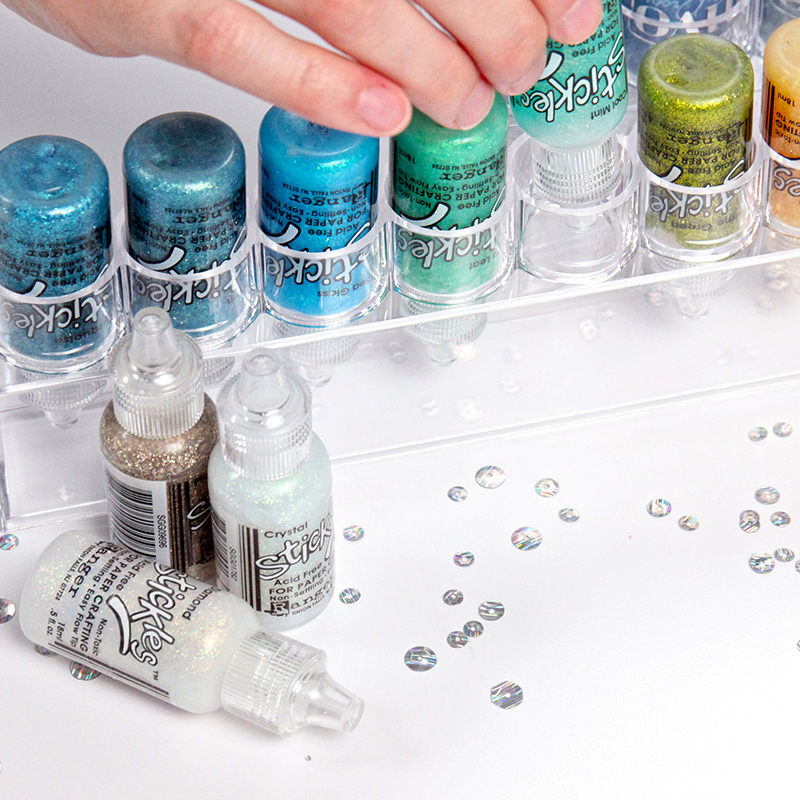 You won't have to worry about getting glitter everywhere like you do with traditional glitters. 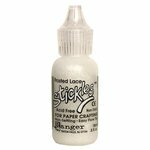 Stickles are not messy and are completely safe for use. 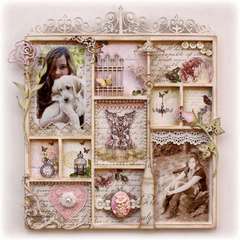 This product is recommended by Tim Holtz. I highly recommend this product. 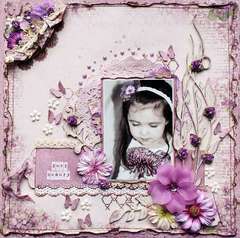 Stickles are a great way to add glitter to your project. Stardust is my favorite clear glitter because it does not change or hide the colors in the paper. Stardust makes the colors more vibrant. Using Stickles makes your project look more polished and professional. 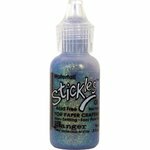 Stickles Glitter Glue - Stardust, has the most beautiful sparkle on the market. I also have three other colors that I enjoy using on my cards and tags. I highly recommend these products, you won't be dissappointed. 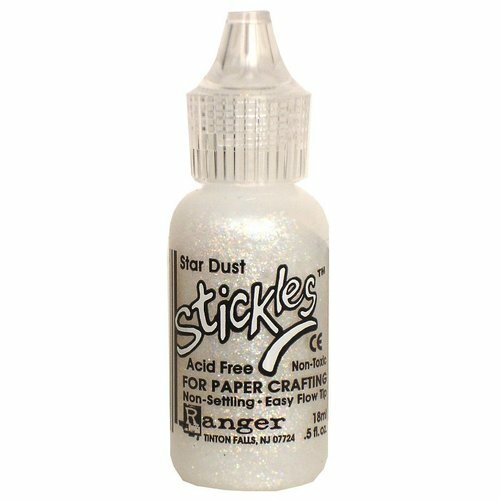 Stickles glitter glues are the perfect little addition to any layout or project. They add a little bit of sparkle and dry clear so they don't cover any of the design behind them. 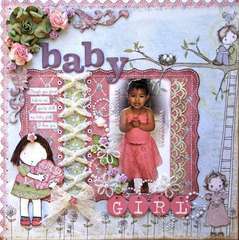 Use them to accent Christmas cards/layouts, princess pages, or to give a little bling to just about anything. 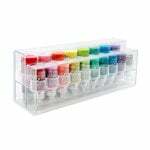 I really enjoyed working with this product it is so versatile and easy to use. 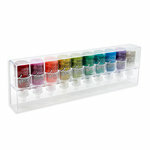 It adds dimmension and shine and glittler to any project your doing at the time. Even a novice can use this product it is so simple. 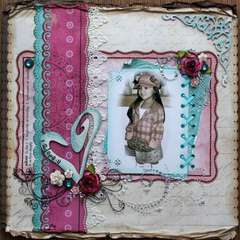 This is my favorite stickles color so far. I have so many but This one is top notch. It camouflages anything to look so naturaly glittered. I use it on almost everything I make. 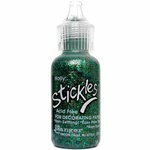 I love Stickles Glitter Glue in general but this is my favorite color. It's perfect to add a little bit of sparkle or bling to any LO! Star dust is so sparkly-it adds just sparkle without much color. Looks like a rainbow of sparkles. Stardust is great. Looks good on stars in the night sky. Has a really nice glitter shine to it.